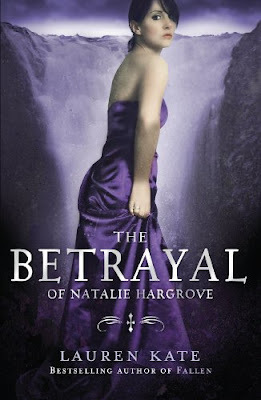 I Want To Read That: Review and giveaway: The Betrayal of Natalie Hargrove by Lauren Kate. Review and giveaway: The Betrayal of Natalie Hargrove by Lauren Kate. From Goodreads: A steamy Southern beauty makes one fatal mistake. I was surprised at how quickly I read this one - I finished the whole book in a couple of hours. I thought it was skillfully plotted with the story unfolding slowly and building momentum. The author held my interest by not revealing everything about Natalie and her past straight away. Instead, we get snippets that explain why Natalie is the way she is but I'm not sure they really justify her actions. I found it hard to identify with her and understand why being the next Palmetto Princess was that important. Mike was likeable enough though and I did rather liked J.B. I think I found him intriguing and really wanted to know why Natalie disliked him so much. As the story progresses, the more Natalie and Mike unravel. I loved their relationship in the beginning and found it really interesting watching the repercussions to what they had done. While the prank they played on J.B could be deemed a horrible accident it is their later decisions and actions that seal their own fate so to speak. And I'd be lying if I said I didn't get a guilty pleasure out of watching them get their just deserves! Described as 'Cruel Intentions meets Macbeth' I thought the idea behind the book was clever and I really liked Lauren Kate's writing - it made this one quick and easy to read. However, I just could not bring myself to like Natalie, and despite the suspicion that I wasn't supposed to, I wanted to. I was hoping the ending would redeem her in some way but, for me at least, it did not. I think this is a personal preference on my part and many readers will enjoy having the story narrated by a character they 'love to hate'. Fun to read and had more than enough drama to hold my interest. The writing makes this one worth reading and I'll definitely be trying more of Lauren Kate's work. Thanks to the lovely team at Random House I have 5 copies to giveaway! The contest is open to everyone (there will be 4 UK winners and 1 International winner). 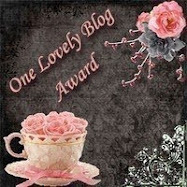 You do not need to be a follower of my blog to enter. This giveaway is now closed. Winners will be contacted shortly. Thanks for a great review, it sounds interesting, I might have to check it out. Great review! I've been debating whether to read this, since I enjoyed Lauren's other books. Definitely going to now. Thanks for the giveaway! What a great giveaway. I couldn't wait to enter. Thanks for doing this competition. O O O coool! I want! I am SO entering. Yippiee for international! I really like Lauren's Fallen series, so I'll have to check this one out too. Thanks for the review. Great review, and I kind of know what you mean about not being able to like Natalie. I guess I didn't like her but I felt sorry for her in some ways. She reminds me of Blair from Gossip Girl in that way. As soon as I read 'Cruel Intentions meets Macbeth' I knew I had to read this. Great review! 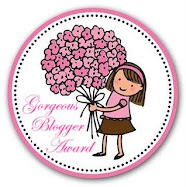 Thank you for this fab giveaway. I really am loving the cover of this book!